Tired comes in many forms. Tired physically. Restless nights, hard work, illness. Tired mentally. Tired of dealing with pain and problems. Tired spiritually. Not feeling God's presence or knowing how to connect with Him. We don't have to remain tired. There is Someone who can renew our strength. Someone who we can rest in. Someone who loves us. Great post. Love the verse!!! As I was trying to come up with scripture for tired, that one did not even occur to me and its one of my favorite! !Thanks for the reminder! This is simplicity at its best. Thank you for this much-needed reminder today. A beautiful photo Jenifer, and wonderful encouragement! no doubt whose team you are playing for this season...rock it out..
love the photo and verse! Amen! We don't have to remain tired. We can run to God and let Him give us strength. Beautiful reminder of where we should turn to rest. And what I love, it's not the rest from simple bit of extra sleep. 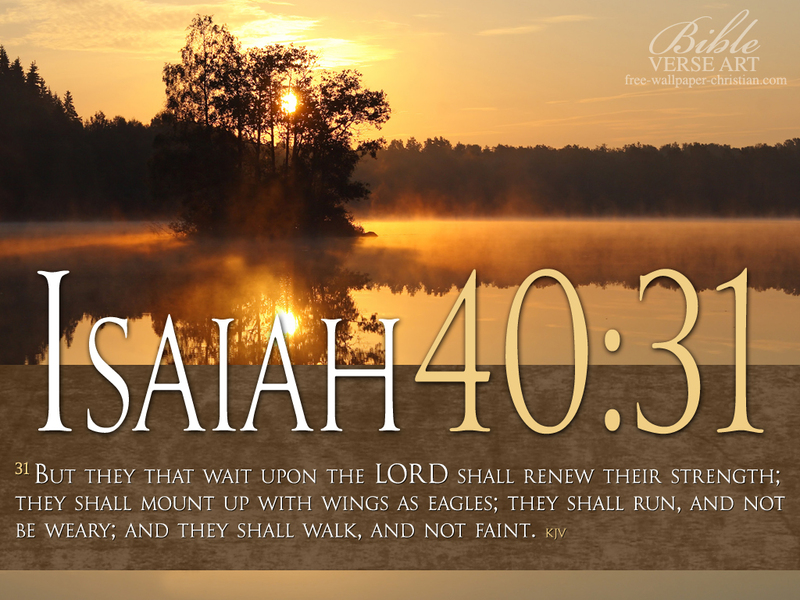 It's rest from God -- the running, walking kind of faith that helps us fly as eagles. Beautiful post. Although I am tired physically much of the time, I praise God that by knowing Him I am not spiritually tired even on my most physically exhausting days. You're exactly right --> We don't have to remain tired. So thankful he renews our strength! Love the verse. One of the members of my church used it to make a song that our choir sings. God bless! Love the verse Jenifer and I like that we don't have to remain tired! HE can renew us...Praise HIM!! !